It is exciting to watch the number of attendees and vendors increase at the Columbus Catholic Women’s and Men’s conferences each year. It is also a blessing to have the support of local organizations who help behind-the-scenes to enrich the Conference environment. The Jubilee Museum staff has supported the mission of the conferences for several years. 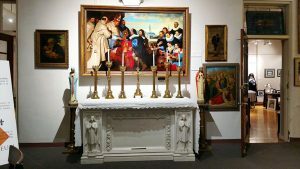 Father Kevin Lutz founded the museum in 1998 to to preserve liturgical art and any art that in some way tells the story, directly or indirectly, of Christ, Mary, the saints and the history of the Catholic Church. The museum staff has kindly loaned sacred art to adorn the Voinovich building in years past, and now the Cardinal building, the site of the 2017 conferences. 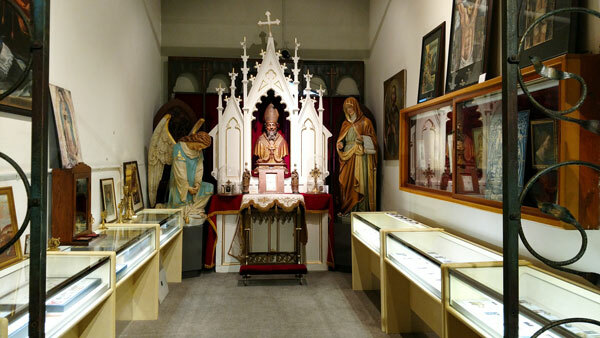 One such loan is the foam-board, stained glass replicas of the windows from the original St. Peter Church in Columbus. St. Peter was built in 1928 on New York Avenue and was closed in 1969. These beautiful replicas adorn the drapes on the presentation area in the main hall. 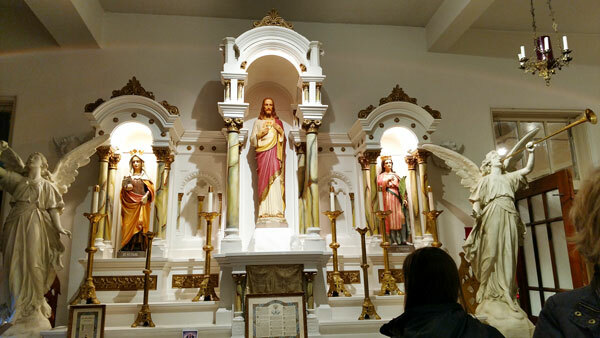 In addition, Jubilee Museum staff are loaning us an Altar and statues of Jesus, Mary, angels, and saints for the Holy Sacrifice of the Mass and for the the Eucharistic Adoration chapel. A suggested donation of $10 per person is greatly appreciated.